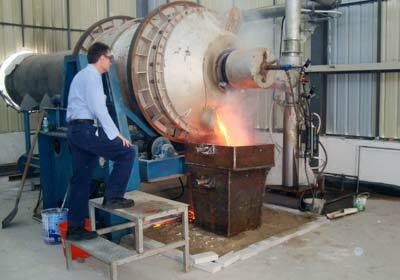 We are highly engaged in offering Rotary Furnace to our clients. We carry out our operations from Rajasthan, India. It is engineered under the guidance of adroit professionals, who thoroughly abide by the predefined industrial standards and norms. Due to its smooth functioning, sturdiness, seamless finish, and excellent performance, it is highly demanded by our clients. We are competent to take bulk orders for this product. Our clients can avail it at the leading market rate.